The quickest way to open a bank account in New Zealand. So you’ve landed in New Zealand and you want to start work or save on the exchange rates right away? Then you want to know the quickest way to open a bank account in New Zealand! While we have a full guide on how to open a New Zealand bank account right here, these extra tips are ways to make sure your bank account is opened quickly. Remember, to start work you will also need an IRD number which you can apply for as soon as you open a bank account. Follow the advice on how to get an IRD number so that you will be paying the correct taxes when you work. Once you open your bank account, you’ll also want to transfer some money into your New Zealand bank account so we’ve put together this pro and con list of the different methods to transfer money between overseas bank accounts. As soon as you know the earliest time and place you will be able to attend an appointment to open your bank account in New Zealand, book right away. In busy cities, it could take a few days for the next available bank appointment, so book as soon as you can for your desired date. Most working holidaymakers coming to New Zealand start their trips in Auckland, meaning that getting an appointment at a bank branch in Auckland Central is a mission. A way around this is to open your bank account at one of the suburb branches instead. Yes, you might have to take a bus or train if you are staying in the city, but it will be worth it to save heaps of time on opening your bank account. This same method applies in Christchurch too. One of the quickest ways to open a bank account in New Zealand used to be to open one before arriving in New Zealand. 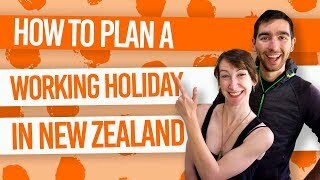 However, most banks in New Zealand have recently changed this process that people on a working holiday visa have to open a bank account in person at one of their branches. It’s a slim shot but some banks will consider allowing people from overseas open a bank account on a case by case basis. For instance, if you already have a job offer, then you may be able to open a bank account from overseas. Get in touch with your chosen New Zealand bank before arriving in New Zealand to see if your case would allow this. One of the biggest hurdles backpackers find when trying to open a bank account quickly is finding a proof of address. Because you need a New Zealand address, these leaves many of us backpackers with no connections in New Zealand scratching our heads. Especially as bank websites call for “utility bills” and such as proof of address. Luckily, there is an easy which is asking your accommodation to write a letter to say that their address is your proof of address. Hostels in Auckland and especially used to this but make sure to ask them as soon as you arrive (or even double check with them when you book your nights) so this part of the bank opening process goes smoothly. One of the biggest set backs to opening a New Zealand bank account quickly is showing up to your bank appointment without all the correct paperwork. Your bank should tell you what they require you to bring when you make the bank appointment. However, they usually call for a proof of address (see above), proof of identification (your passport), your overseas Tax Identification Number, and possibly a copy of your visa. That way you can actually make the appointment. Banks also prefer you to have a New Zealand phone number when setting up your bank account and so they can call you if any changes are made to your bank appointment. Find out how to set up your phone in New Zealand here.